Congratulations to Professor David Rowe, Associate Professor Amanda Third, and the Safe and Well Online team (Dr Philippa Collin and Dr Teresa Swist) for their success at the recent 2015 University Awards. The awards provide a platform for Western Sydney University to showcase some of the outstanding work being carried out in research, teaching, postgraduate research and supervision, professional service, leadership, and engagement and sustainability. A selection panel chooses winners from among the nominations and the awards are presented at a ceremony at the end of the year. Professor David Rowe has contributed significantly to the University research theme 'Urban Living and Society' through a sustained, engaged program on transformations in contemporary cultural life, especially in the key areas of cultural citizenship, sport, media, urban leisure, artistic practice and the politics of the public sphere. The impact of this research, which ranges across Western Sydney, national and global contexts, registers in policy development, media communication, public debate and advancement of internationally-oriented, interdisciplinary knowledge. 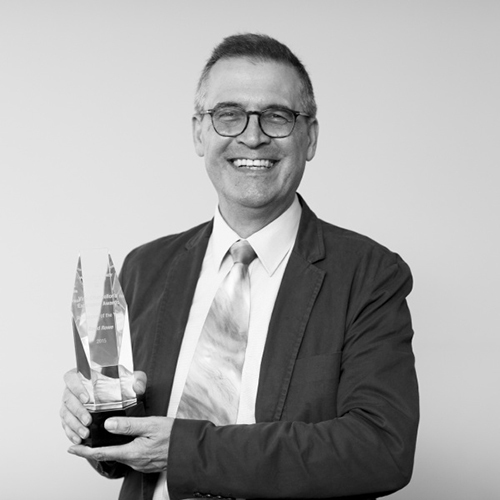 Sustained high-level academic performance is indicated in his being a Chief Investigator on three current ARC projects and 2014 election to the Australian Academy of the Humanities. A committed engaged researcher, Associate Professor Amanda Third has a profile of sustained interdisciplinary and cross-sector engagement in the field of young people's digital practices and their wellbeing. Amanda is a founding member of the Technology and Wellbeing Roundtable; a Research Program Leader in the Young and Well Cooperative Research Centre; a member of the international Digitally Connected Network; and an Expert Advisor to Global Kids Online, an initiative of UNICEF and the London School of Economics. Since 2011, she has generated $2.5 million in external research income and has built a highly effective research team that leverages an extensive network of partnerships to conduct globally innovative research that directly impacts policy and practice on local, national and global scales. Young people's digital practices provide a key point of intervention to support mental health and wellbeing. The Safe and Well Online team led by Dr Philippa Collin and Dr Teresa Swist has established and fostered wide-ranging partnerships leading to involvement of more than 500 young people and 25 public, community and industry partners, exemplifying the Western Sydney University ethos of engagement and impact. The research has established a framework for social campaigns to promote positive mental health. New evidence of the desires, behaviours and media modalities that promote youth mental health, four social campaigns and a knowledge network have boosted the capacity of services, government agencies and industries seeking a coordinated approach to the promotion of youth safety and wellbeing. The Institute also congratulates Senior Research Officer Dr Kristy Davidson for receiving a Highly Commended in the Excellence in Professional Service category. Kristy has transformed the research development support processes at the Institute for Culture and Society and produced a comprehensive suite of associated research support material. She has provided a vital bridge between academic and professional staff working in research, developing a dynamic, strategic, and systematised approach to research management and support that operates collaboratively and synergistically both within and beyond ICS. The reach of her efforts extends more broadly to other units in the University via her collaborative and generous approach. Below: Professor David Rowe with his award.